Vocal cords are organs situated inside the larynx vibrations of which produced the sounds that we speak. Vocal cord polyps are benign tumors that grow on vocal cords. Extreme straining of the vocal cords resulting from continuous talking in high voices, excessive smoking, coughing, yelling and infections and allergic reactions affecting larynx etc are the reasons for the formation of polyps in the vocal cords. 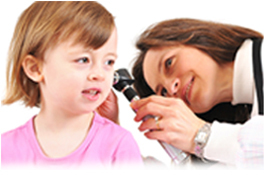 Conservative treatment options like rest, speech therapy etc have been found to be extremely useful in controlling and removing vocal cord polyps. Homeopathic treatment is also a better option for the removal of polyps as it has been found to be a very effective method of treatment without any side effects. If all the above procedures and treatment options fail to yield satisfactory results then the option for surgical removal of polyps can be taken up. The most important benefit of this procedure is that your surgeon will be able to identify your problem and chart a treatment program matching to your requirement. Just like other surgical procedures there are chances of some consequences to accompany the surgical removal of vocal cord polyps. They are detailed below. 1) Injury to your lips, soft palate, tongue etc is possible. 2) Your vocal cords may get bruised resulting change in your voice and noisy breathing. 3) Infection and tooth chipping are the other consequences that may accompany a surgical vocal cord polyp’s removal. 1) Your general health condition will be ascertained first. You will have to undergo blood test, ECG, X-ray etc. 2) The medications that you are now taking will be ascertained and directions will be given which has to be stopped and from when to be stopped. 3) You are not expected to eat or smoke anything 8 hours before the surery. 4) As smoking stalls the healing and recovery process it is better you stop smoking a few weeks before the surgery. Direct laryngoscopic surgery is done when the polyps is found on the lining of the vocal cord. In such cases the mass on the lining of the vocal cord are excised and is removed. The wound is kept open without suturing to avoid the risk of scar formation as scar formation may affect the quality of the sound. Since the wound is kept option strict voice rest is essential for a few days after the surgery. Laryngoscopic surgery with micro flap is conducted when the polyps is found inside the lining of the vocal cord. In this surgery an incision is made on the vocal cord and through this incision the polyps is dissected and removed. The incision is then brought together and left open for healing. As the wound is kept open in this case also complete voice rest is very essential for the recovery and successful completion of this procedure. Use of laser beams to remove vocal cord polyps is a cutting edge technology which is in its emerging stage.